Stretch seat covers give chairs a newly upholstered look in minutes! Perfect-fit stretch covers stretch to fit any seat shape, instantly concealing a stained, worn cushion with a fresh look. Elasticized design is easy to pull on and stays in place. Ideal for oblong, square or round seats on dining and patio chairs, bar stools and more. 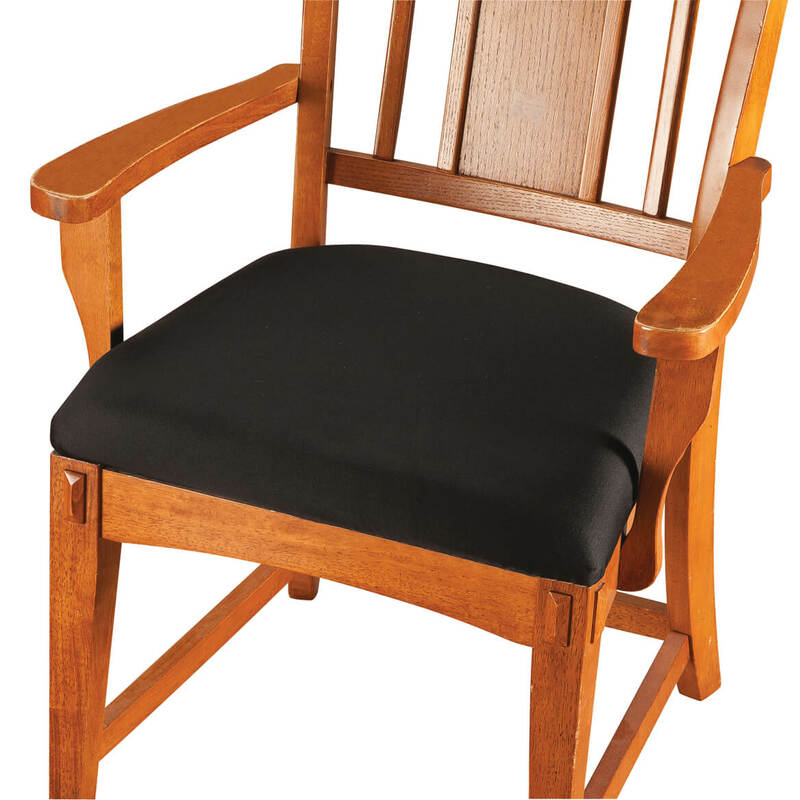 Includes 2 easy-care, machine-washable chair slipcovers. Choose from 4 colors to complement any décor: brown, black, beige or burgundy. 95% polyester/5% spandex. Machine wash cold, gentle cycle; dry flat; cool iron if needed. Do not bleach or machine dry. Imported.